Hunkered down in thick cover, a large pot-bellied fish tracked the silhouette of a frog flitting across matted grass just two feet above its head as it waited for the opportune time to strike. The creature briefly paused atop the grass and then hopped gently into a tiny pocket of open water. It remained motionless for a moment before slowly sinking. Quivering as it descended about a foot, it regained its composure and climbed over another grass clump. Finally, the hungry predator could stand it no longer. The fish opened its mouth and lunged at the frog still sitting on the matted grass. As if a bomb exploded beneath the surface, water erupted and spewed frothy weeds across the shallow flat. The 15-pound beast gulped the frog and part of the vegetation in the process. However, instead of slurping succulent frog steaks, the surprised redfish sucked down a mouthful of plastic punctured by a steel hook. A hooked redfish fights for freedom at the side of the boat after striking a soft plastic frog. Redfish live in brackish to salty water and frogs typically prefer sweeter environments. The two species rarely meet in nature. Although redfish seldom intentionally target frogs, a hungry redfish might eat just about anything. Buzzing soft-plastic frogs can entice hard-to-catch spot-tailed marsh marauders that few other lures even tempt. River deltas nourish brackish wetlands, encouraging abundant aquatic plant growth. As water warms in the spring, big redfish often move into grassy flats to feed. When redfish burrow into thick weeds, few lures can reach them. Rigged weedless with a 3/0 to 5/0 wide gap hook inserted into the body, a soft plastic frog can go through the thickest vegetation without fouling. Frequently, redfish erupt through the grass to attack these baits. Anglers can fish frogs in several ways. Some frogs slowly sink and others float. In very shallow water or extremely thick weeds, a steady buzzing retrieve across the surface makes a great way to search for redfish. 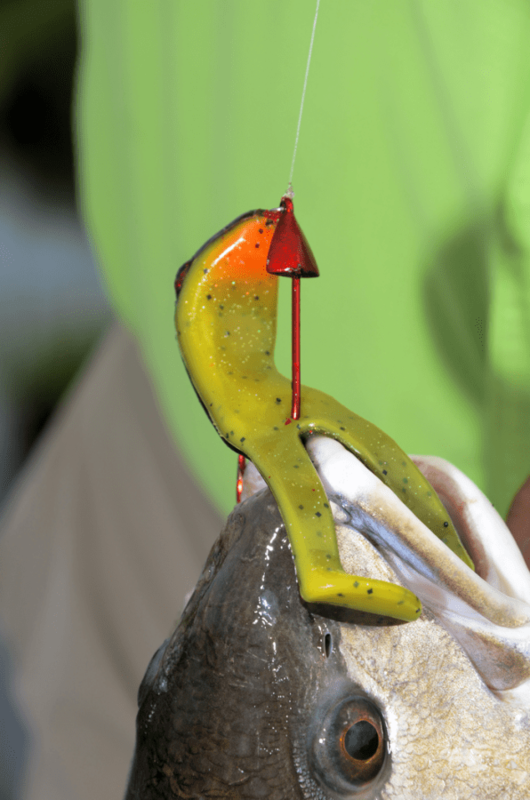 Even if a fish doesn’t explode on the bait, it might move and give away its position. Then, anglers can follow up with equally deadly Texas-rigged soft plastics that slither slowly across the surface. The “hop and pop” method also works, particularly with floating frogs. With this method, move the bait a few feet and then stop. Let it “crawl” over vegetation and pause briefly. This technique works best when fished in broken, patchy vegetation. 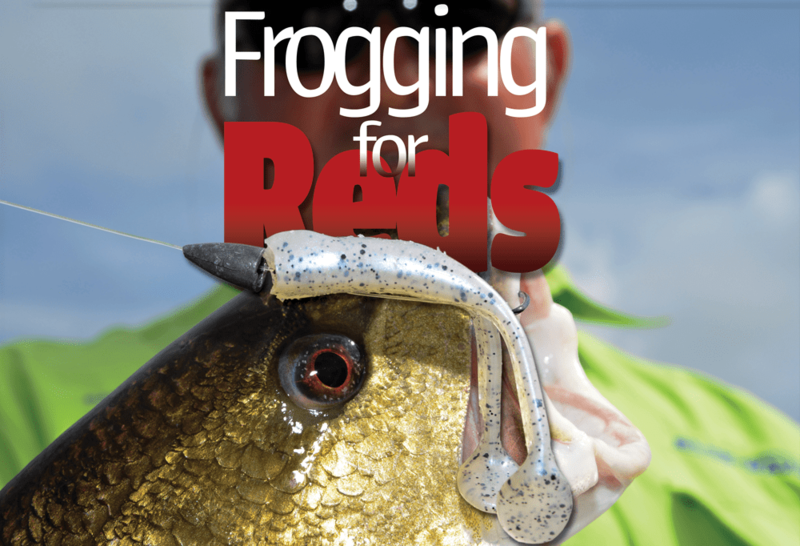 Weedless soft plastic frogs make excellent temptations for redfish that are hunkered down in thick grassy cover. When fishing sinking frogs, anglers may use the “stop, sink and go” approach. Pop the bait or pull it several feet across the surface. At open water pockets, let the bait sink. As the frog slowly sinks, its appendages may twitch or quiver, driving redfish nuts. Seeing the opportunity to strike, a big red might rush in to gulp the temptation. When targeting fish not feeding aggressively, work a buzzing frog almost like a conventional topwater bait. Let it sit on the surface for a few moments and then pop it vigorously. Let it sit again until the concentric rings clear and then pop it again. The commotion simulates a live frog splashing across the surface. Most anglers fish buzzing frogs without weights so the baits naturally hop across vegetation. However, windy days in the marsh could make casting difficult. Some people attach small split-shots to the line. Others use keel-weighted hooks to add casting heft. In addition, use braided lines to yank big fish out of thick, entangling cover. Nearly impenetrable canopies of grass could intimidate many anglers, but these vegetative thickets frequently hold the biggest fish. 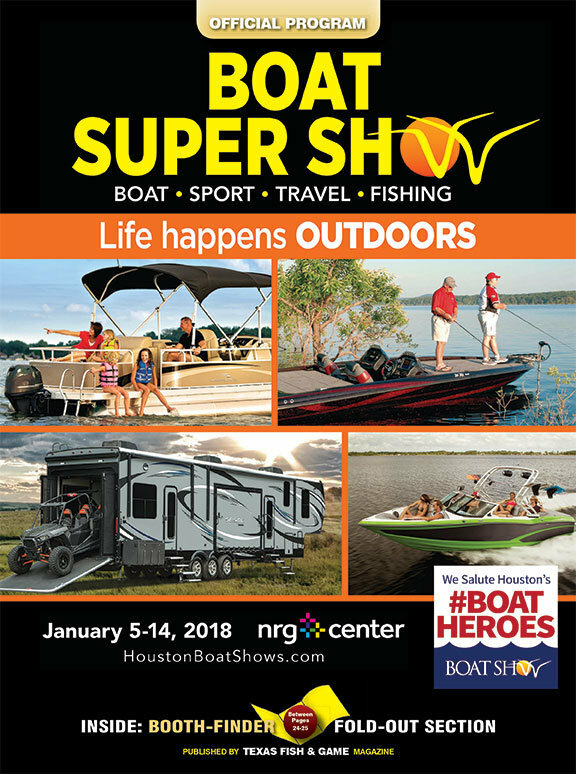 Catch the buzz this spring to put more lunkers in the boat where others can’t even tempt fish.